Quickie quiz:....How often does the average person check their smart phone during the day? Write the answer down before checking below! Senior Spirit.....Click the Senior Spirit link (below left) for a copy of the latest articles from Certified Senior Advisors - September article is "How the New Tax Law Influences Charitable Giving"
What is your IRA Rollover marketing plan?.....Come October 1, 2018 there will only be 91 days left in the year for donors to make charitable gifts. Historically the last quarter of the year is when most individuals withdraw their required mandatory distribution (RMD) from Individual Retirement Accounts (IRAs). Qualified Charitable Distribution (QCD) is the technical name of what fundraisers casually refer to as an IRA rollover. Not all donors are eligible to make QCDs as donors must be over age 70 1/2 on the date they make the gift. A QCD is technically an outright gift from an IRA investment account. 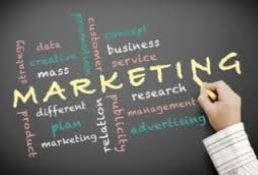 Marketing efforts are normally part of the planned gifts program since it is an asset transfer from an investment account. QCDs also require a specific acknowledgment receipt for the donor's income tax purposes. Below is a sample monthly marketing strategy. SeptOct: Update web site with QCD information and downloadable flyer. Sept/Oct: Review acknowledgment procedures with gift records staff. October: QCD article or ad in newsletter, personal testimonial by previous QCD donor is always helpful. November: Postcard promotion of QCDs to identified prospects over the age of 70. I it is not too early to begin to plant seeds for future gifts. December: Final reminder insert in general solicitation letter about advantages of QCD for qualified donors. More on QCDs see below: "What are professionals telling each other about the QCD"
7 Charitable Strategies to Decrease Taxes and Increase Income.....Is the title of my new educational seminar for prospects and financial advisors. Plan ahead to prepare your prospects for the effect of the new tax laws. The seminar covers the recent tax law changes that effect charitable giving, the stages of income and estate planning, reviews good and bad gift assets, and provides 10 examples of gift techniques. PowerPoint presentation covered in 49 slides. The seminar should be scheduled for 1.5 hours to allow sufficient time for discussion and questions. The cost is $2,500 per presentation day plus a maximum of $500 in additional travel costs. Individual consultations with prospects may be arranged to follow the presentation or you may secure another consulting day at an additional cost. To reserve a summer or fall date for this seminar simply send me an E-Mail. Fundraising under the new 2018 income and estate tax laws....is the name of a White Paper I created at the request of the Association for Healthcare Philanthropy (AHP). It provides a specific overview of those aspects of the new Tax and Jobs Act. This specifically effects, our work in raising capital for the mission of your charity. After a summary of the law, the paper lists what fundraisers should do to explain the impact of this new law and specific gift strategies your program should include. Eleven (11) specific examples are cited as opportunities for donor support. This paper builds upon the excellent work of others in the fundraising field who analyzed the important changes in the Tax and Jobs Act. I appreciate the editing of Wayne Olson of Wayne Olson Consulting LLC. One important note about this paper, it was created before the ACGA announcement on the July 1st rate increases for gift annuities. Marketing Idea #1....Postcard on incresed CGA rates.....I must confess I have 7 charitable gift annuity agreements with 3 different charities for various gift and estate purposes. That said, Duke University was the first to send me a postcard announcing the updated CGA rates. Are you mailing to all current annuitants? If not, you should be as postcards are an easy economical way to announce the new rates. Current donors are your BEST PROSPECTS for new agreements. Over the years I have had indiviudals with multiple agreements: one donor-couple had 13 - $100,000 agreements with 7 different charities, another individual had 17 agreements for one hospice charity, and an individual just died with 9 agreements totalling over $250,200 for one charity. Marketing Idea #2..Promote gifts of appreciated stock.....On August 22, 2018 the stock market set a record for the longest bull market in US history. This is the year to promote gifts of apprciated assets in mailings and on your web site. money is invested in a cause important to them. 2. Capital gains taxes on the stock are avoided. 3. Donor will be eligible to receive an income tax charitable deduction for the full fair-market-value of the stock at the time of the gift. Commercial donor advised funds such as Fidelity Charitable provide excellent information on this important gift technique. What does your web site include? Is it easy to find? Is it updated to new tax rates? Does it provide an example? Do you have DTC transfer information on your website and available as a download file? Plan a qualified charitable distribution: This is one of those strategies that the client will only hear about next year when it’s too late to take advantage of a QCD for this year. As a result of the new tax law, more clients will be taking a standard deduction and their charitable gifts will no longer be deductible. The QCD gives the client a double advantage. They can take the standard deduction and effectively add a charitable deduction on top of that, by having those gifts being excluded from income. The only negative is that the provision isn’t available to more taxpayers. It only applies to pre-tax funds in IRAs, not company plans, and clients must be at least age 70½ at the time of the QCD to qualify. A QCD may be as large as $100,000 per person (not per IRA) and can be used to satisfy a client's required minimm distribution (RMD) requirements. QCD rules prohibit using donor-advised funds or private foundations. NOTE: Consider adding this info to your website, sending it in all your thank-you letters and put it in an E-mail to your planned gift prospects. Gift annuity rate update and laminated gift annuity rate charts.....If you would like a laminated rate chart for the most recent ACGA July 1,2018 rates simply request one using the following E-mail request and put Laminated Rate Chart in the subject line and be sure your signature line has your full address. As of this writing the rates have been announced and the charts will be mailed for use beginning July, 2018. Download a PDF chart of single life $10,000 cash gift and two-life $100,000 security gift for ages 60,65,70,75,80 here. What advisors are being told about gifts of illiquid assets.....Schwab Charitable has issued a booklet titled: The Advisor's Guide to Donating Illiquid Assets. It is a great resource for development professionals to download and review all the requirements to make a gift and receive a qualified charitable deduction. This 18 page booklet is a great shelf resource when your prospect mentions a potential gift of real estate, C-Corp, S-Corp, LLC's, Private Equity and Hedge fund investments, and Collectibles and artwork. Charities will find the summary of Qualified Appraisal Summary of Requirements (page 12) and the Simplified Comparison of Common Contribution Asset (page 13-16) especially informative and helpful wilth all gift types. Do endowments hold a blueprint for donor-advised funds? (by Derek Tharp)..... Writing in Financial Planning|DAYBREAK....Donor advised funds (DAF) are flexible tools for charitable giving but seriously underutilized. As charities rush to grow endowment resources DAF's are a strong competitive alternative. Quiz Answer....The average person checks 110 times in a day according to a 2013 survey. (source: www.techland.com). Another study by the New York Post indicated Americans check their phone on average once every 12 minutes – burying their heads in their phones 80 times a day. Spend one day and count how many times you check. TO AGE NINETY - 25% of Americans that reach age 65 will live at least another 25 years to age 90 (source: Social Security Administration). SURPRISE - 23% of households headed by individuals at least age 75 will experience an “extraordinary” out-of-pocket medical expense of at least 1% of household income this year (source: JP Morgan Chase & Co. Institute). TAX FORM - The number of American taxpayers utilizing the deductibility of mortgage interest expense on their Schedule A of Form 1040 is projected to drop from 32.3 million tax filers for tax year 2017 to 13.8 million returns in tax year 2018 due to changes from the 2017 “Tax Cuts and Jobs Act” (source: Joint Committee on Taxation). MONEY - The top 10% of taxpayers received 47% of the $10.1 trillion of adjusted gross income (AGI) earned nationwide in tax year 2015. The bottom 90% of taxpayers received the other 53% of AGI (source: IRS). SIGNIFICANT - 19% of the US population is currently receiving a monthly benefit payment from Social Security, i.e., 62 million beneficiaries out of 328 million Americans (source: Social Security). TOP ONE - The top 1% of US taxpayers in tax year 2015 made at least $480,930 of adjusted gross income (AGI), received 21% of all AGI nationwide and paid 39% of all federal income tax (source: IRS). NOT AS OPTIMISTIC - 65% of Americans surveyed in July 2018 think “it’s a good time to buy a house.” That percentage was as high as 83% in December 2014 and hasn’t been as low as 65% since December 2008 (source: University of Michigan Surveys of Consumers). resources for charities using the power of charitable estate and gift planning techniques for over 40 years.